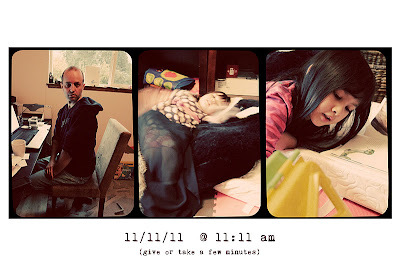 On such a unique day, (11/11/11 only comes around once in a lifetime! ), I am filled with a creative energy. The internet is buzzing with excitement around this date. 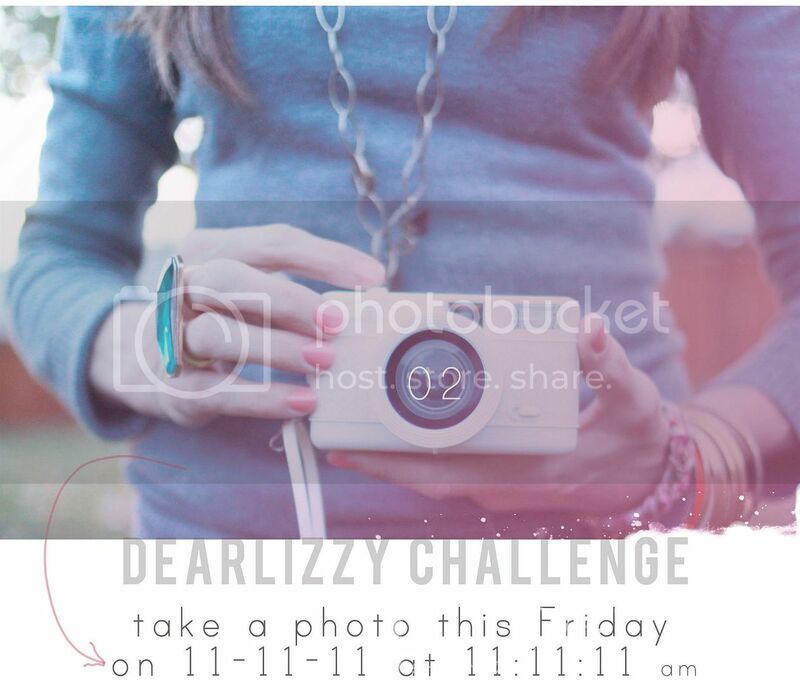 Scrapbookers, memory keepers, photographers want to document the day. Even the exact time. At 11/11/11 at 11:11:11 am (give or take a few minutes), I was sitting at my desk listening to bluebird by christina perri here. I had taken a break from digging into the mess of my scraproom. I saw the time and ran to my husband's office/girls' playroom and got these shots. When I got back I took this shot. Now as I am writing this, I am grooving to Little Dragon, one of my good friend's favorite bands - a Swedish electronic/dream pop/neo-jazz group. Perfect music for 11/11/11! 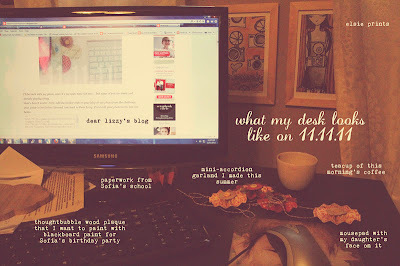 Fun pictures ~ and your desk looks so clean! Very cool! Your fam is so cute! Did you link it back at Lizzy's blog? I was browsing but couldn't find yours. PS your blog is lovely!